BYOB vs. Dedicated Connection: Which is Best for VoIP? Reliable connectivity is consistently at the top of a list of requirements for any IT professional. Now, with more and more companies moving to Hosted PBX and VoIP for phone service, setting up an infrastructure that you can trust is even more critical. The network must always be available and performing normally. For business owners, office managers and even IT professionals, the options for Hosted PBX and VoIP services come in two flavors. You can BYOB (Bring Your Own Bandwidth) or you can opt for a Dedicated Connection. In a BYOB set up, a business contracts for Internet services with their choice of provider (for example, Comcast, Verizon, Atlantech Online, etc.) And then they use a separate provider for their Hosted PBX or VoIP service. The second option is a dedicated connection. With a dedicated connection, your Internet service and your phone service are on the same network. Which is better? Here's a short analogy. Would you let some guy named Bill take your package to the FedEx office so they could then ship it on to its destination? Of course not… you’d want Mary, the friendly FedEx driver to pick up the package herself, trusting that she’d take it back to the FedEx fulfillment center for delivery. So, why would you trust MegaTelco to get your voice service to your VoIP carrier and assume you’ll have clear call quality? Doesn’t it make more sense to have your voice service carried by the same provider who is doing your Internet connectivity? An ideal way to have this work is to have your connection on the same network as the voice switch that is processing your call. The provider who does this for you can manage the routing equipment on both sides of the connection and configure it such to prioritize your voice traffic to make sure that it gets through first, on time and as it’s supposed to be delivered. Consider this analogy in the framework of your IT infrastructure and configuration. Doesn't it make more sense to set up a configuration where there is a direct and prioritized path to clear and reliable phone service? While BYOB connections may function well enough for small companies, it's worth looking into a dedicated connection as your business grows. And if phone reliability is a top priority for sales and customer service, you may want to make the move sooner, rather than later. Here is what we see a lot of in the marketplace... a customer has Comcast or Verizon for their office Internet connectivity and then a service like Vonage, Vocalicity or RingCentral for their VoIP service. So, their phone call goes out their Comcast connection, goes over the Internet to RingCentral’s voice switch and then connects to the Public Switched Telephone Network. For a service like web surfing or email, this may work fine. The Internet is very resilient about sending its packets to the right place. But, in a real time communication like a phone call, any packets that arrive out of order or are re-sent because of slow-downs in Internet traffic can result in jitter or latency in the conversation. The result is poor quality of the phone call. Phone calls occur in real time and packets that arrive out of order or are re-sent because of internet slow-downs can result in dropped calls, latency or jitter. Jitter is a common problem of the connectionless networks or packet switched networks. Because the information (voice packets) is divided into packets, each packet can travel by a different path from the sender to the receiver. When packets arrive at their intended destination in a different order then they were originally sent, the result is a call with poor or scrambled audio. Latency sounds like an echo and is the amount of time it takes for speech to exit the speaker’s mouth and reach the listener’s ear. Latency and jitter are two avoidable and curable causes of poor phone quality. Phone calls and VoIP are much more easily corrupted due to low bandwidth than say, your Gmail connection. Call quality can be dicey when these bandwidth issues lead to fuzzy or dropped calls. By switching to a dedicated connection, you can avoid jitter and latency and increase the quality of your phone service. What are these packets we keep mentioning? Packets are groups of digital information and for voice, versus typical Internet applications like web surfing or email, a strict protocol of delivery and organization must be maintained for a clear and reliable phone service. An ideal way to set up a reliable VoIP and PBX system is to have your connection on the same network as the voice switch that is processing your call. This is referred to as a dedicated connection. The provider who does this for you can manage the routing equipment on both sides of the connection and configure it such to prioritize your voice traffic to make sure that it gets through first, on time and as it’s supposed to be delivered. When you are on the Atlantech network, your calls don't have to travel across the internet to the phone service. The phone service is on the same network, so it instantly negates a lot of the potential problems BYOB services experience. Then, to make call quality even better, we tag voice call data packets using priority tagging. Think of this type of tagging as the safety patrol that wore the orange belt and got you safely to school back in the day. It would hold up traffic and wave you through from the bus stop so you could get on the bus. And then, when you sat down, your bus would safely deposit you at school. We also install, manage and maintain the equipment. So, you’re voice packets are under our care and control as they get put into the public switched telephone network. 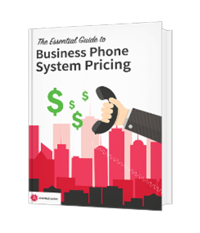 If unreliable phone service is a common and unresolved issue for your business or if you are just researching VoIP and phone services, take a close look at your current configuration. If BYOB sounds like too big of a risk and you don't want to get lost along the way, consider a dedicated connection. Phone calls are a key communication tool. A dedicated connection will improve your phone service, provide peace of mind and reliability and increase productivity, customer service and communications.